Beautiful music has always been a big lure for me. Towards this I have spent a small fortune on speakers, amplifiers, et al. This time I tried my hands at some speakers from a company that maintains a low profile. 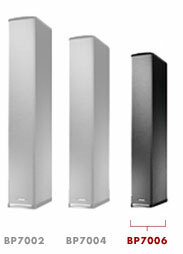 The company is Definitive Technology and the speakers I am talking about are the BP7006 bipolar super towers. The company maintains a very low profile compared to the other major players like B&W, Kef, etc. But their offerings are next to none. Yes the speakers have in-built sub-woofers which make the frequency response a reality. Because of this each speaker has its own power line coming out of the back panel. I tested the speakers with a variety of music ranging from western classical pieces like Bolero to classic rock numbers like Hotel California, Comfortably Numb, etc. The speakers came packaged in card board boxes. The packaging is nice. Once out, they look good but the sock cover does not seem to be very durable. As accessories there are the speaker foot screws, spikes and two brackets for each speaker. The brackets are supposed to be fitted in the slots towards the back at the bottom to lend more stability to the speakers. The manual was a disappointment. I would expect a more verbose manual with photos showing how connections are to be made, etc. What we have is a long drawn commentary on the connections and the various features of the speakers. It gets pretty boring rather quickly. Maybe Definitive never heard the saying “a picture paints a thousand words”. Like most speakers all the connections are at the back of the speakers. There’s the standard positive, negative connector, an input for the Low Frequency Effects(LFE) from A/V receivers and a level adjuster for the powered sub-woofer. The sub-woofer driver is situated at one side with the radiators above it. The twitter and the bass/midrange drivers are located towards the top front, and top back sides of the speaker. This bipolar nature of the speakers makes the sound emanate from both sides and lends to being more suitable for listening from almost all directions. Connecting the speakers was easy. The LFE input can be used to connect the sub-woofer output from the A/V receiver to the speakers. For this you would need a Y-connector though. According to Definitive, even though the crossover frequencies for the speakers do a pretty good job of handling low frequencies, using the LFE makes the experience even richer. Due to the lack of Y-connectors, I could not test this out. For my tests I positioned my speakers well away from the walls and pointing in towards the listener. The speakers were kept about 15 ft apart and my listening point was 13 ft from the speakers. Crisp, clear and refreshing – thats how I would sum up these speakers. I started with Ravel’s Bolero. The starting phrase is really low in volume but these speakers made sure I did not miss out on any part of it. The music was clear with the twitters and midrange drivers doing a wonderful job. I switched to Pink Floyd’s Comfortably Numb. I never heard it sound better on anything that I have owned ever. Just wonderful. Then came of The Eagle’s Hotel California – a classic number. I had the unplugged version. The intial arpeggio was full of melody and with sufficient concentration you could almost “see” the guitarist’s hand moving over the finger board. Towards the middle of the arpeggio the drums kick in (I guess they are more like the thumba or congo drums). The bass output was tight, with very less distortion. The bass sound was more like a tight “pop” rather than the undefined noise that comes out of most car stereos. Cranking up the volume, to the extent till which the neighbours would refrain from calling the police, produced no distortion at all. All through it was clean, crisp and tight. Just wonderful. Definitive have done a great job with these speakers. At $649 a piece they are not exactly cheap, but I am not complaining after having heard them. I highly recommend these speakers for all those who would like to start out on the enjoyable journey of being an audiophile. Even though the cost is not exactly affordable, they are neither very expensive. In my opinion, these speakers give you more than your money’s worth. So give them a shot. But be prepared to spend a whole day on getting them balanced and placed properly. Trust me, at the end it will all worth the “hassle”. I have heard these speakers, and I must say for the price that they are the best speakers I ever heard. Even with the low end, the bass is exactly what I wanted. For anyone that wants a crisp sound with a lot of bass these speakers are for you. These speakers are especially good for classical listeners. try klipcsh heresys or cornwalls they have three times better sound. try klipcsh heresys or cornwalls they have three times better sound. i’m very dissapointed. I owned Klipsch (KLF 20) before having to let them go because i moved into a much smaller place. I went and bought these. I am dissapointed after extended listening. Where are the mids!? these things sound so whimpy. I really miss the klipsch sound and wondering if I should look into getting Engergy Speakers or Smaller Klipsch speakers.